A chart containing a scatter layer and a linear regression layer. 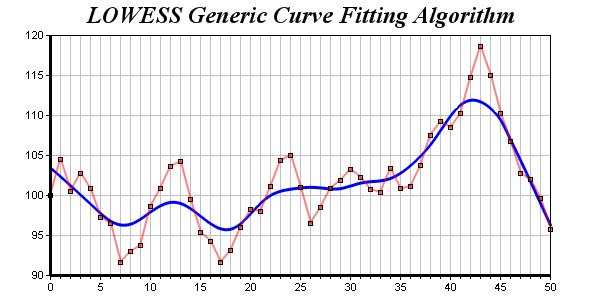 The linear regression layer includes line and point confidence bands as measures of statistical accuracy. A custom text box is used on the top-left corner to display linear regression parameters. 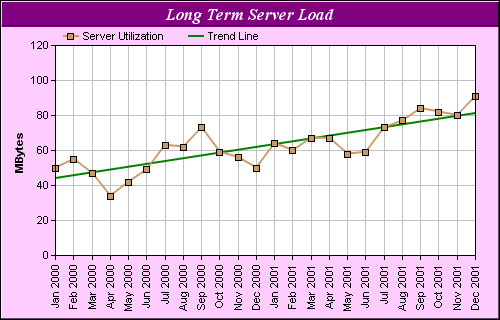 A chart containing a line layer and a linear regression layer.